This entry was posted in Cocktails (Bevande), Gluten-Free, Vegan, Vegetarian and tagged Arancello, Cherry Liqueur, Italian, Limoncello, Liqueurs, Recipes by ChgoJohn. Bookmark the permalink. Oh John these sound delicious! I have never tried lemon cello but have always wanted to. I love lemons so much. I’m not much of a drinker, but I would love to sample a sip or two sometime of these types of drinks. That cherry drink looks and sounds wonderful with the spices added! Perfect for New Years! Thanks, Brandi. I bet you’d like Limoncello. It’s not meant to be drunk like a cocktail. It’s served in a small, tall thin glass and sipped after dinner. It has a sweet, lemony flavor and it used in baking, as well, very often in glazes and biscotti. ps Ha.. for once I am first again instead of last.. I’d better hit that Post Comment button fast!! Thank you, Barb. I wonder what the statistics are for people who “sample” Limoncello while in Sorrento. 80, 90%? Heaven only knows how many bottles are brought back home as souvenirs. You can scale the recipes up or down with little effect on the end result. Just try to avoid getting any pith into the mix. It really will make your liqueur bitter and be sure to let it sit, the longer the better. I started both “celli” in mid-March and they are both nice and smooth. Mid March! I’d better get started! Happy Birthday! I hope all your projects get finished to your satisfaction and 2014 is the beginning of a fantastic decade. Happy Birthday, Happy New Year, and a very happy and extraordinary 2014! Happy New Year 2014 and happy birthday 60, CJ! And I hope you have a productive project month. Y’all come back now, ya hear? What a way to celebrate and share John. its very difficult to buy pure alcohol here so I sub vodka too. Polish Spirit is the thing to use, but you might have to order it. Cheers again mad dog, just chatted to a friend who got his local Polish shop to order him in 100% proof, do I’d need to water it down, let alone check the prices out. Thanks again and happy new year! Looks like we’ve both got great months ahead of us. I hope you have a wonderful time, Claire. I cannot wait to see your photos. John, I’m a bit familiar with limoncello. I quite like it too. Specially after a nice dinner. My best friend, Lorenzo, he’s italian (a roman… yes..), and we have some good memories that involved limonecllo. What I never thought possible, was that you could make your own at home. 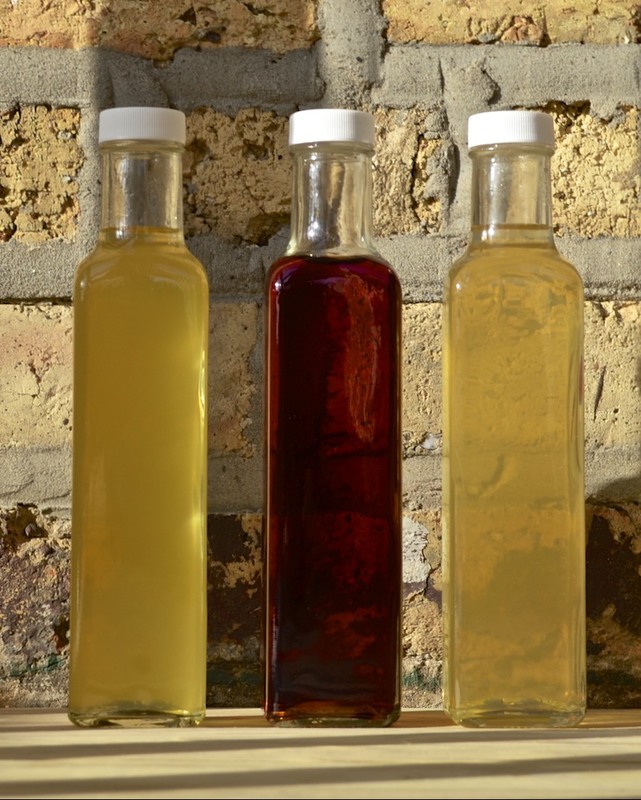 Granted, using everclear seems to make the task a lot easier, and I have no idea how real limoncello is made, the fact that you made your own cherry liquor is inspiring and shows how much you love what you do. I will join the rest of your blogger friends and wish you an early happy birthday John. In the summer even better….. but is perfect how you make Johnny….Happy new year! Dear John, you hit the nail right on my head with your limoncello/arancello recipe. My daughter gave me a bottle of this delicious liquour for Christmas and we have been enjoying it very much these days. Happy New Year. Welcome, Martina. What a nice gift to receive! It is wonderful to share over the holidays. Thank you for visiting here today, Martina, and for taking the time to comment. I wish you and your family a very Happy New Year! Hello, Melanie! I am back and hope all is well with you. Thank you for your support and I hope 2014 is a good year for you! Buon capodanno e buon anno nuovo! Interesting how your approach is slightly different. I thought about using a microplane, but I’m not confident I could zest it that way without including some white pith. There is definitely white pith when I zest the lemon with a potato peeler, but that is relatively easy to remove with a sharp paring knife. I’ve just made a new batch a few days ago. Interesting that ‘your’ grain alcohol is ‘only’ 75% proof. In Italy and here it’s 95%. Hello, Stefan! Thank you for the well-wishes. All’s well and I had a fantastic birthday and month off. I think the problem I have with the pith is because of the lemons I use. Meyer lemons have a relatively thin peel. It is no easy task to use a peeler to get just the zest and the same is true when I use a knife to remove any pith that I may have missed. I want to make more, though this time I’ll use “regular” lemons. I’d like to see if there’s much of a difference in the flavor. In a much later comment, someone mentioned 190% Everclear available here in the US. I’ve not seen it and doubt it’s legal in this state. Lemons from Sorrento are supposedly the best, but I’m not sure if they are available outside of Sorrento. Oh well I never liked limoncello but would surely try the blood orange version!! Six Oh Oh 😀 See you in February, enjoy the celebrations! A gallon and a half! A bet that set a few tongues wagging!! I hope you went out of town to buy this much alcohol?! Teasing aside. I love these recipes and I thought your idea of using the micro plane a really good tip, I have been cutting the peel with a potato peeler but you are right the pith does make things sour. I also have to add the glasses look absolutely beautiful. Enjoy January and a very Happy Birthday. For now Happy New Year! These sound and look amazing. I want to book a trip to Italy right now! After dinner at our Beloved Italian Restaurant, we’re always offered a sip of house-made Arancello…pure heaven (long as I didn’t already over-do the wine, that is!) I hope your lovely gifts were appreciated by the recipients! Thanks, Marie. I had a wonderful birthday and month off. It was nice eating a meal that was hot and not worrying about taking pictures. By the way, I see that your Little Guy had a birthday, too. 3 years old?!?!?! Did that ever go by fast! Good to have you “home”! Excellent and delicious – what a way to end the year! Thank you so much. i hope 2014 is proving to be a good year for you, too. Oh the cherries… Looks so good! Might have to try this. Hope you have a fantastic New Year, birthday and short break to complete your projects. All the very best, John! Cheers! Looks great John, I love a nice Italian aperitif! Great photos too. Wishing you and your family a very Happy New year. Thanks, Phil. The New Year’s been going great and I hope you and yours can say the same. Great drinks to toast in the New Year. One dumb questions, why store the liqueurs in the freezer for at least 1 week before serving? Looking forward to reading about you completed projects in Feb. 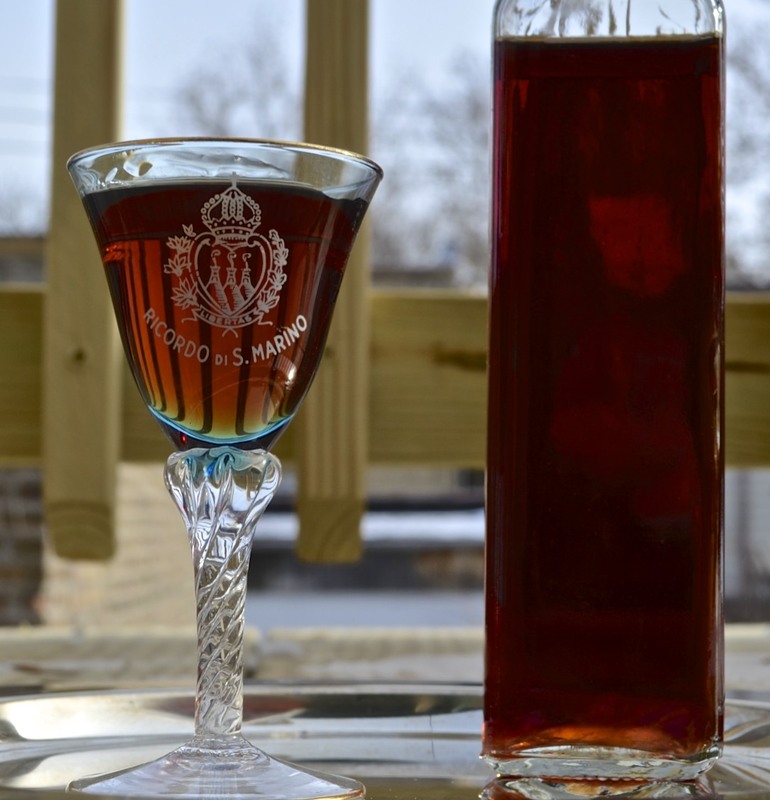 I love too to prepare “piccoli liquori fatti in casa per gli amici” and I like so much your Cherry Liqueur. I posted my Limoncello and also Ratafià some months ago, so what can I say to you John? Cin cin! Auguri di buon anno e felice compleanno! Grazie mille, Sylva. 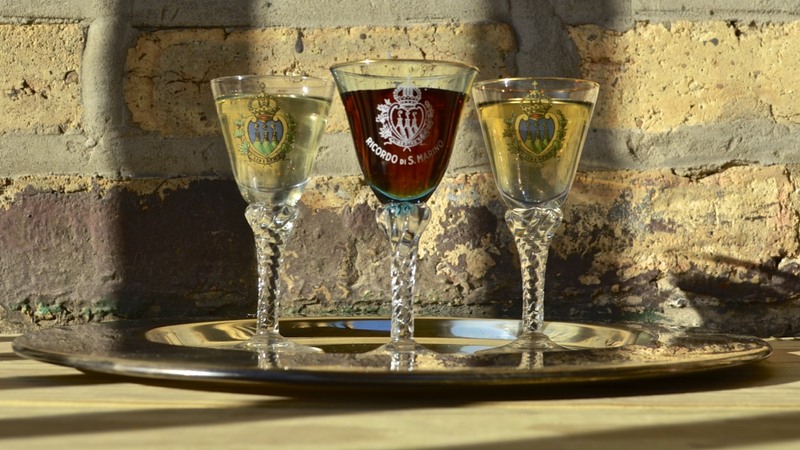 Yes, these liqueurs make perfect gifts. My friends all enjoyed them. Happy Birthday! Enjoy your time off in January and Happy New Year! I hope to find out about the Sorrento lemons first hand in July as we will be staying in Salerno and Positano. Your friends and family are no doubt thrilled to sample your homemade cellos and cherry spirit. They must be a lovely way to end a meal on a high note. All the best in 2014 to you John! Happy New Year! I am a huge fan of limoncello. There was also a drink, I cant remember the name, we had in Ancona that was frozen and had limoncello. It came out of a machine similar to what they use for an icee. I could drink that all summer and then some! I have made it with regular lemons and enjoyed it, I look forward to trying it with Meyer lemons now too. I am on a liqueur kick now as I just made my peppermint liqueur and am about to make another batch if hazelnut liqueur. Also made a lemon simple syrup for my huckleberry lemon drops. Ah, I am getting thirsty! Enjoy the big six oh! 2014 is the year of my husband’s big four oh so we look forward to celebrating too (mine was this year already). Wishing you a fabulous 60th Birthday John! Hope you have something special planned to mark the occasion in style! Enjoy also the time in January to complete all the tasks you’ve put on hold for the last little while – I’m sure you’ll feel so much better for getting them squared away. Absolutely lovely to see how you make these delicious, fruity concoctions! Love a good Limoncello, so I’m sure I’d love both the meyer lemon and blood orange varieties you’ve made! A great little drink to celebrate the start of 2014! Happy New Year to you and the Bartolini clan! Happy New Year, Happy Birthday, and I look forward to your return to the blogosphere! Thank you! Did this comment ever bring a smile to my face! I hope you guys are all doing well. Wishing a wonderful New Year, Debbie, for you and your family. Happy new year, and happy birthday!! OMG! Everclear! The stuff college dorm parties are made of 😉 Great recipes and I love Meyer lemons for baking. Happy New Year to Zia, you and the rest of the family. Happy Birthday early and will miss you until you return. Happy New Year, John, may the coming year be filled with abundant joy! Happy Birthday too! yum! love the homemade hooch 🙂 Though yours are more classy than “hooch” for sure. Happy New Year to you and yours! Congratulations on a truly fabulous year of kitchen magic, Jack — the best yet. Your culinary talents are extraordinary, and Dave and I are thrilled and humbled to be the recipients of your cooking largesse on this blog and in person. Now enjoy the month off and go create that bigger pantry/storage area we were talking about — I’m happy to come over and help if you like. Meanwhile, though I no longer drink alcohol, I’m remembering happy summer evenings in the cafe in the center piazza of Sorrento, where almost every table is dotted with small yellow glasses of limoncello…and that makes me look forward gratefully to another Italian adventure. 😉 Happy new year, my friend! I love Limoncello! And I’ve never made it, or any other cello (I kinda think of it as the same way I think of making jam – something I really want to do, but haven’t gotten myself organized enough to actually attempt). Terrific recipes. And one sip of Everclear is enough for anyone – that stuff is nasty! Of course I’ve taken a sip for research purposes only to determine that (and you’ll do it only for research – no one can drink that stuff). Happy 60th! And Happy New Year, too., Have a productive month off, and I look forward to seeing you again in February. It is amazing you managed to get such clear drinks, John. Both look so professional! I’m sure they taste just great. If only I had a glass of your Limoncello!!! Happy New Year John! I hope 2014 brings you an abundance of joy, laughter and delicious food! We have many celli in this house, though not off the lemon variety 🙂 Have enjoyed lemoncello panna cotta, fantastic! Like your idea of using a lime variation too. Have a great break, get ready for your big birthday year and have a very happy New Year! 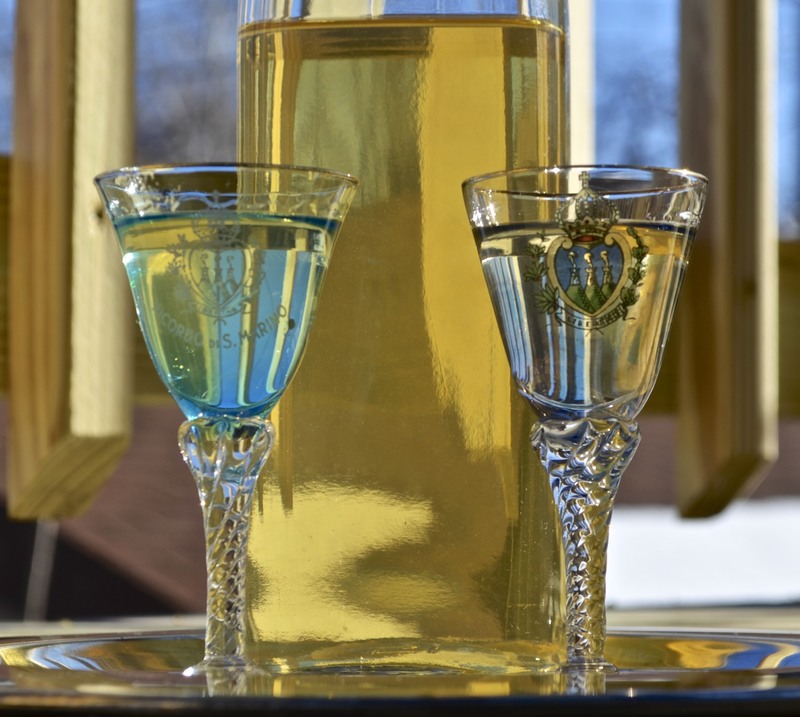 I can’t believe you make your own Limoncello – that is fantastic. I’m still saving a bottle that we brought back from Italy but I’m thinking that I really should crack it open in case it goes bad. Happy birthday in advance John – you’ll almost catch up with me before you know it. Sorry to hear the kitchen will be closed but I can certainly understand wanting to get those annoying odds & ends out of the way. Have a very Happy New Year & birthday. Perfect for toasting the new year! Have a safe and happy holiday! Thank you and may you and your wonderful family have a most Happy New Year. What great ideas. I’ve got a meyer lemon tree ready to explode with fruit. I know what’s going in my Kilner bottles in the coming weeks! 1.5 gallons of grain alcohol. “Will that be all? No, I would also like 1.5 gallons of rum.” 🙂 I am sure that I will get some looks if I go to the liquor store (with my two babies!) to buy booze for all THREE of your recipes. You know, my friend has an orchard with cherry trees. We are often invited to pick cherries in the summer – and also given huge bags to boot – so the last recipe would be perfect for the “fruits” of our labor. Last year I used brandy with the cherries – which was yummy. Oh, and great idea to try meyer lemon and blood oranges the -cello recipes… very creative. Have you ever tried limes? ¡Olé! A very happy New Year to you – and wishes for a FABULOUS birthday (I hope your 60th celebration is very special!). I am also celebrating my birthday in January, the 19th. May you experience only good things in 2014. My best to Zia, too… Of course! Have a wonderful New Year and I hope all your projects get done. Greg over at Rufus said I should add a little limoncello to my champagne! What a stunning idea i thought! And I just happen to have some in my freezer!! Have a great break from the madding crowd. Talk to you soon.. c.
What a wonderful post! Making our own liqueurs sounds like just the kind of DIY project I like! I’ve been meaning to try my hand at this for years (decades?) — maybe 2014 will be the year I finally get to it! Happy, happy birthday to you! I too am a January baby, and not too far behind you in years. Enjoy this special milestone. I look forward to your return in February! Happy New Year, John, and Happy Birthday….I used to be six oh! I hope your New Year is a very happy one! [laughing] I was actually on line when your post dropped into the box last night, but felt I simply could not be the first to comment to say I had been to Italy at least a dozen times but had never ever tried limoncello 😉 ! Still haven’t being pretty much a dry wine gal, with the occasional single malt or cognac when with my fave males!! But I have always thought of it as a liquor and not more-or-less as a digestive!! Interesting! I have a beautiful Meyer right behind my kitchen door, so with the aid of vodka [hmm, grain alcohol sounds awfully masculine!!!] shall probably tried once the lemons are invitingly yellow!!! Cheers to you John for 2014 and for hitting the milestone birthday this year, A month off to get projects done sounds like a great way to start the year. A good present (well deserved) to yourself. All the best as you accomplish everything you set your mind to do. The deciding to start is the hard part is the exhausting part to me. Will miss your presence but look forward to seeing you when you return. Happy Birthday to you! Happy New Year to you John and to your Zia and Happy Birthday to you. 60 is not toooo old 🙂 I love limoncello. We make it here most years though with vodka not with fire water. Thank you, Fae, and a Happy New Year to you, too. First of all John Buon Anno! Wishing you health and happiness for the year ahead. I love these recipes as I can’t stand the sickly sweet limoncello which (to me) tastes of what washing up liquid smells like! I have made similar before but have had to use vodka – perhaps I can try to track down some pure alcohol as I am sure the taste would be much better. Congrats on the birthday (all the best people are born in January 😉 ) Big Man celebrates his 60th this May so clearly 1954 was a good year for giving the world some of the loveliest people I know! Happy New Year John!! 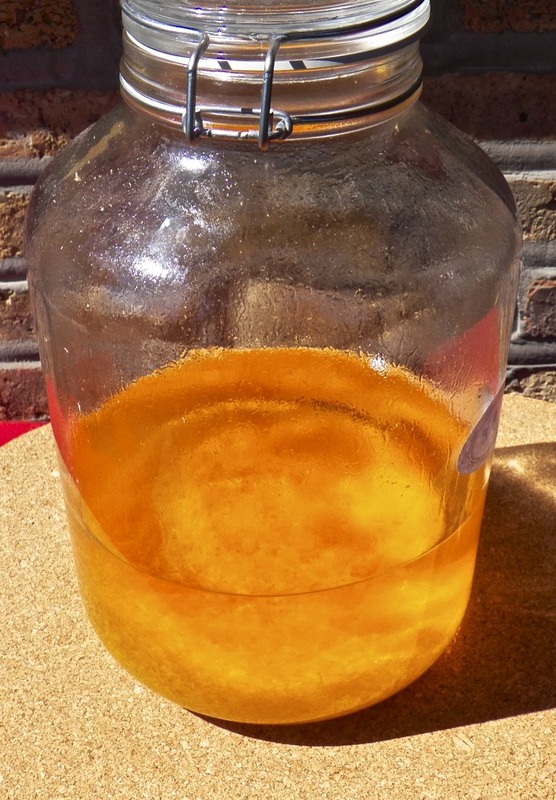 Limoncello has been on my to do list for a very long time…really want to try and make it, yours look lovely! Happy Birthday too!! will catch ya in February! Oops! I was about to forget! Happy, happy birthday, dear John! I’ve never made it as I have been searching for Meyer lemons…….don’t really have an excuse now and yours looks great. Good on you for tying up loose ends, enjoy January and I’ll look forward to reading you when your back up and running! 1. I never knew you could make your own liqueurs like this, and that was a very good tip about using a micro-plane so you don’t end up with a lot of pith. 2. Good to know you can substitute vodka. 3. I laughed at the thought of giving the liquor store clerk a withering look if they asked if there would be anything else with that purchase! 5. Hope all goes well with the projects in January. I always wondered about limoncello. I’ve always been fascinated by the process. As for Meyer lemons? They grow like weeds around here (California). Yet, me and my husband have managed to kill every lemon tree we’ve planted. Last fall, our promising lemon tree got hit by the killer frost. I give it til April to see if it survives. Happy New Year and Happy Birthday to you, John. And many, many more!!! I am so glad that I found your blog. It is one of my major joys in my retirement. I have never thought of creating my own liqueur John. You certainly are a man of many talents in the kitchen. I am sure the recipients of your gifts will enjoy every glass. I wish you all the best for the new year – and I look forward to reading more of the happenings in your kitchen come February. Happy New Year to you John! I will be looking forward to a new year of your interesting posts! Looks great John, I’ll be trying that method for sure! Happy New Year, happy milestone, and good luck on your project. I know how that goes. It looks like something to definitely try in 2014! Oh John! Happy birthday. And good luck on your projects. If I thought I could get mine done in one month I would happily give up blogging for that time! I’ve always wanted to try these and I actually have a bottle of Everclear in my cabinet. Can’t remember if i bought it for these or if I confiscated it from my kids when they were 16! They would cringe at the though of that now! Have a great new year John! i am so happy I found you and can’t wait for another year of stories, food and friendship! Great post, John. I love limoncello and arancello. Baby Lady & I make both of these. In fact, we have also made lime cello. Our favorite is still the limoncello with the lime a close second. I definitely have to try the Tart Cherry Liquor. It looks so good and I love cherries. Hope you have a Happy 60th Birthday (mine is later this year) and you accomplish all you want/need in January. The Kitchens will be missed. John – Fascinating recipes. I’ve never made these and didn’t realize the flavor came only from the peel. Nice. Happy ‘6-0’ John – I reached that milestone three years ago ! I love these recipes – you always amaze me!! I’m not sure if I told you this story before, so – – here it is. My husband & I used to frequent a small ‘fish restaurant’ in one of the tiny fishing villages of Malta. The waitstaff knew us well and were good to us. Once, when my husband was traveling, I went to enjoy a nice lunch ‘al fresco’ by the sea, with plans to see a movie after. Well… the waiter gave me three limoncellos – and only charged me for two. I got so sleepy I ended up taking a nap in my car – again in the lovely sunshine – I never made it to the movies!! Bravo! Happy birthday and happy new year, John. What a fun thing to do! 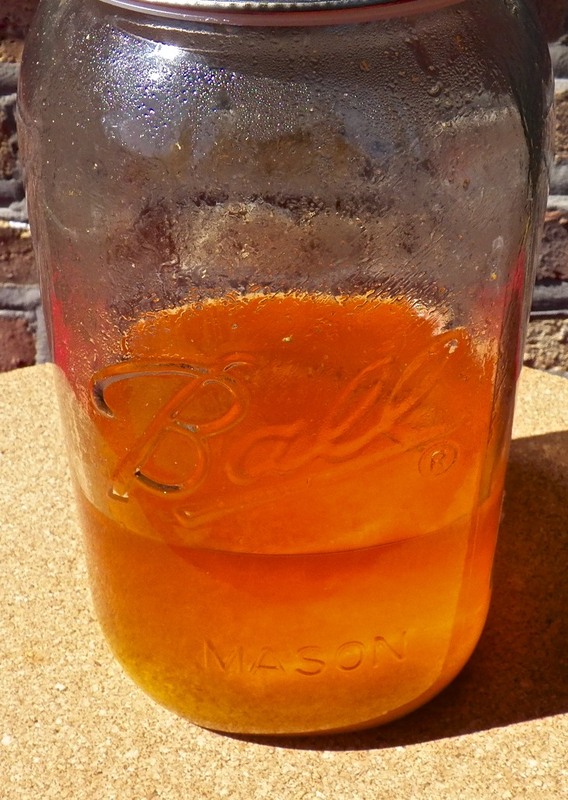 I’ve always wanted to make my own sweet liquors and you’ve got some great ones started here. Oh how the Everclear brings back memories, although I can’t remember them all. 🙂 Happy New Year John and a very Happy Birthday! I turned 60 back in October and it’s not all that bad. 🙂 Have a great month off! John!! Happy New Year a the biggest birthday hug to you my wonderful blogging buddy! The Big 60 hey? I’ll be celebrating the Big 3-0 this year. Age is just a number, right?!! Happy birthday my dear friend, I wish you many, many happy returns! I look forward to hearing all about your projects when you return. Limoncello is one of my favourite digestives, our lovely Italian restaurant almost always brings us a free glass when ever we visit. I am going to bookmark this recipe for sure, home made beverages are lovely gifts! Enjoy your month off John and happy birthday!!!! Here’s to a wonderful year ahead!! 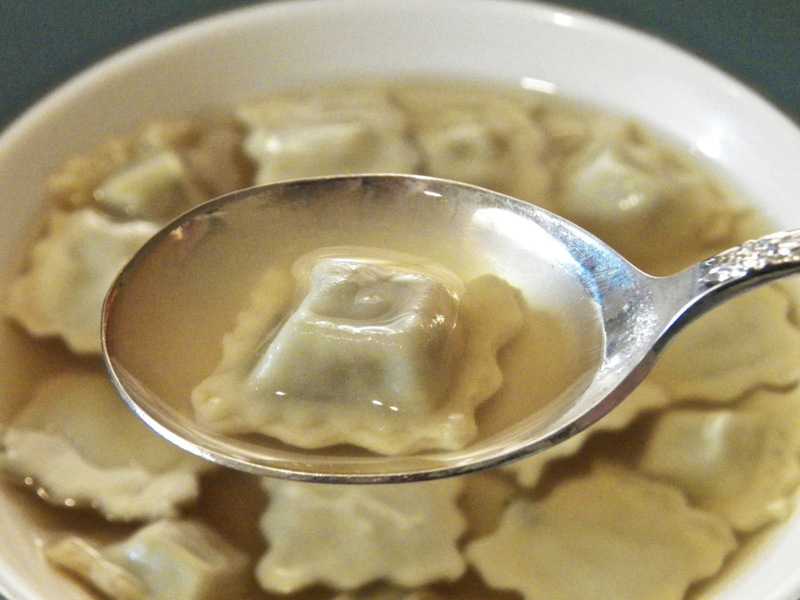 I love the celli recipes. I am going to give the lemon flavored one a try for sure. I do love it and how fun to make it at home. Many hugs to you for the new year and birthday month! Happy New Year to you and your family!! Thank you for your wonderful recipes which remind me this country I love so much, Italy!!! Delicious…every step of the way! John, Happy New Year! We served limoncello in the restaurant. Love the look of the cherry. Enjoy your break! Your liqueurs are gorgeous! The cherry one has a really fantastic color! I hope 2014 is treating you well so far! John, in chronological order: Happy New Year AND Happy 60th!!! This is a big milestone! Once again, I wish I was your neighbor. I would gladly bring you oodles of baked goods with the hopes of a little trade. 😉 These liqueurs look splendid! Emily Dickinson once said, “We turn not older with years, but newer every day.” So here’s to the newer you! Happy 60th, CJ. See you in a month! These “cellos” sound so good! I’ve always wanted to make Limoncello but I’m a little scared of the process I guess. Maybe I’ll try your recipe soon…. Happy birthday! I hope you get everything done and checked off of your to-do list. See you in February! Nice and light refreshing drink john!!!! My parents are huge limoncello fans! I had no idea this was so easy to make. I’m going to whip up a batch for them 🙂 looking forward to your return and happiest birthday to you, friend! Hope you are having a fabulous birthday month and being productive, as well! I need to make “celli” for holiday gifts some year … such fond memories of Italy when I think of limoncello ending a leisurely dinner. I just watched a “how to” Limoncello video a few days ago on the internet! I’ve never had it and it sounds so wonderful. I’m wondering though…could I make it with vodka? Ciroc is made from grapes and is gluten free. Using a microplane is really a good idea. I loved the cherry liquer. Your stepwise demo makes it so easy to understand! And those serving glasses are so unique! Hey, John thanks for the hint on grating the lemon zest at this rate, if I had enough Vodka, I’d quadruple the recipe…I have a half a case of lemons! Preserved lemons also in the works.